I recently ran out of my beloved Benefit POREfessional prime, I was debating whether to shell out for a replacement or try something different. 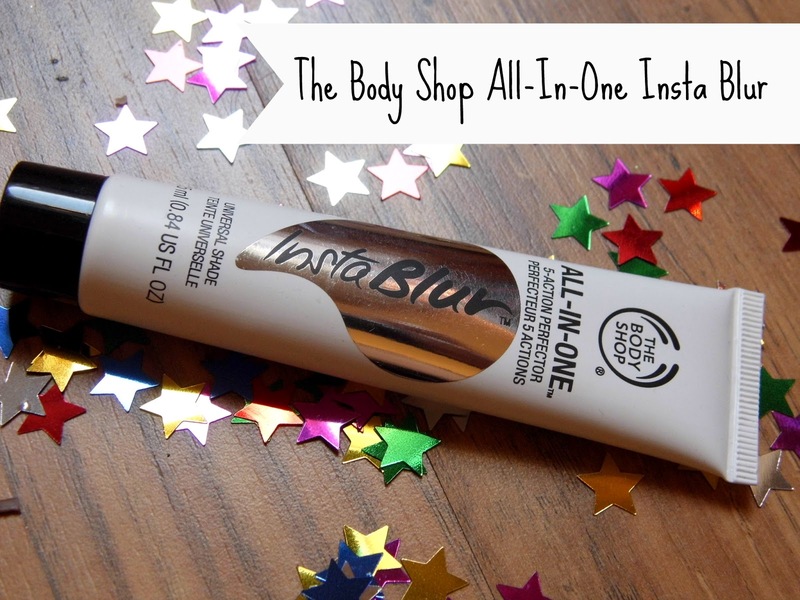 At this time The Body Shops All-In-One Instablur came out and I decided to give that a try, at £14 it was a lot cheaper in comparison. It’s a thick gel and I was worried how it would go on my skin, but I’m pleased to say it’s easy to apply and isn’t oily at all. It leaves my skin feeling so soft and my makeup is so even and smooth, resulting in a really professional look. I noticed that this helped massively in concealing the lines on my forehead. I’m in denial about these lines, I still get spots so I refuse to believe I’m getting any signs of getting old! However this product has really helped to cover the lines up. It’s also fab for covering up large pores and really brightens up my skin. I recommend it to all the gorgeous women who have their imperfections and are looking for the perfect primer, because hello ladies! You have found it! This has become my day to day face product and is fantastic! I've just run out of porefessional too and am in the same boat! I'm definitely going to give instablur a go! Also in Cosmo this month are the body shop cards which are worth at least £3 so perfect timing! Can't believe I haven't heard of this before - my poor face is in desperate need of it! Who's in my sidebar... November Edition! My Autumn Snail Mail Buddy!